It's very early morning, and you're set for the day's competition. Whether it's your first or hundredth triathlon, you pack and prepare the same way; gear goes into your transition bag in the same order, car packed just so, nutrition and hydration needs in your cooler. But before you sign up for the next event, revisit an often overlooked piece of gear that supports your every step — your running shoes. Why do running shoes matter in a triathlon? The swim portion of the race is tough but the water supports your weight, and although you're working hard, your bones and joints are not taking a beating. The cycling portion does put weight on your feet and legs, but the rest of you has the support of the bike seat, frame and rest bars. By the time you reach the run, you're feeling pain and exhaustion, and now you need real support as you hit the pavement. You've covered two-thirds of the race; expertly fitted running shoes mean a finish without blistered feet, cramped calves or horribly painful hamstrings. Quality shoes cover more than just your feet: they enable good posture, steady arm movement and regular breathing; all the elements of a properly aligned athletic body. Replacing your running shoes depends on how often and how many miles you run. The typical answer ranges from every 300 to 500 miles. But your weight and running stance also factor into when it's time to buy. Heavier runners wear out a shoe's cushioning faster, as does wearing the same pair of shoes all the time. If you drag your heels or scuff your feet as you run, that portion of the shoe will show greater wear sooner than the rest of the sole. The triathlon conundrum: regular or elastic shoe laces? 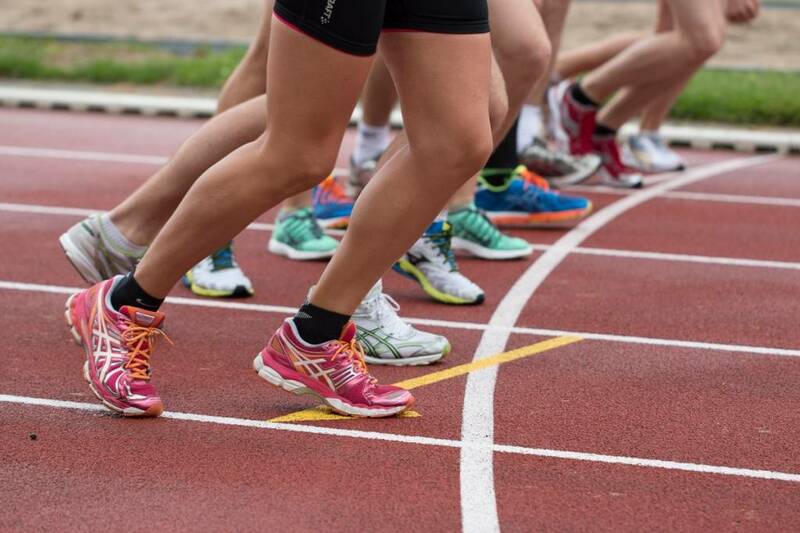 When you have the best shoes for the event, the next choice is whether to leave the standard laces on or swap them out for elastic triathlon laces. The advantage to triathlon laces is the small plastic catch that loops the laces together. You hop off the bike, hop into your shoes, slide the plastic catch down to tighten each shoe and begin the run. No double or triple-knotting laces and less likelihood of a broken shoelace. The triathlon shoelaces are reusable as you buy new running shoes, dry quickly after a rainy run and are available in many fashionable colors and patterns. Our staff has the expertise to fit you with the running shoes and triathlon gear you need, whether you're trying out a first triathlon or an elite-level competitor. We carry Hoka and On Running for men and women. These brands providing different levels of cushioning and weight for road or trail running. Runners of any body type will find their fit comfortable for training and competing, and their style suitable for the post-event celebration. Visit us online, call or stop by and let us add fuel to your triathlon lifestyle.